With the RMC Hybrid Wood Protector, Rubio® Monocoat contributes to that trend with a decorative and durable treatment for all exterior wood. 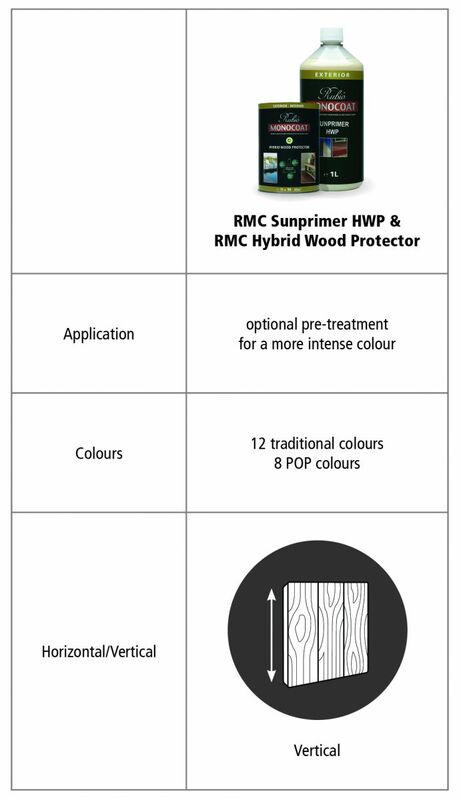 And to further intensify the colouring, we recently added the RMC SunPrimer HWP to the exterior range. For finishing exterior walls, garden sheds and gates, wood is being used more and more, often combined with other materials. The wood can be protected in various ways, depending on the desired result. 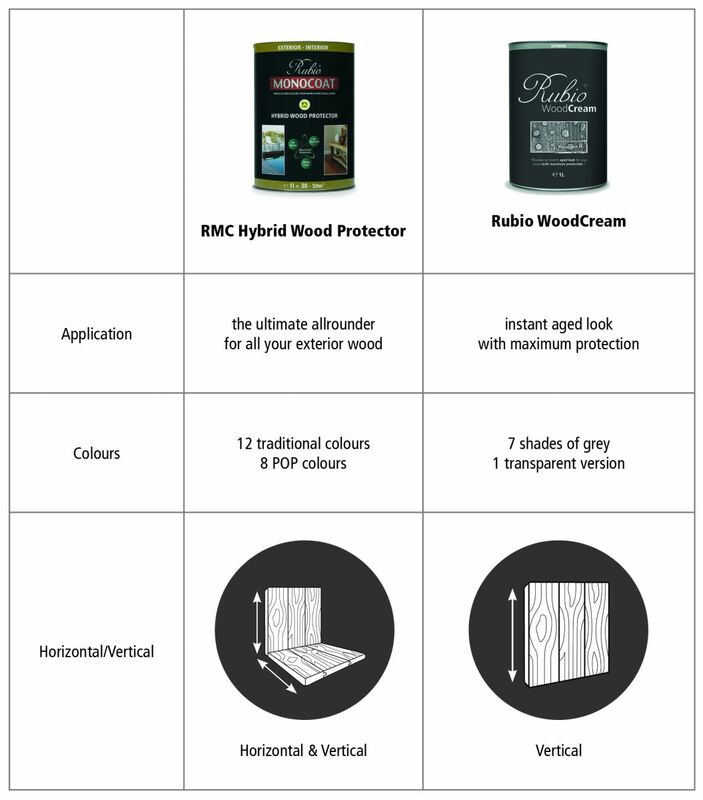 Rubio® Monocoat has had the RMC Hybrid Wood Protector in its assortment with great success for years. It is a high-quality oil that protects and colours the exterior wood in one coat. It is available in 20 colours. But wood is also beautiful when it naturally ages. The Rubio® lab has developed Rubio® WoodCream for all fans of an aged wood look; a revolutionary cream that provides an instant aged look for your wood while making it water repellent at the same time.